I almost lost my life. I was driving down this road and I approached something that looked pretty hideous . It looked like trouble. It smelled like trouble . The Holy Spirit said it was trouble. But me playing the role of the Good Samaritan, had to stop and check on whatever was in the middle of the road .When I got out to check, I found that not only was the thing hideous it was bigger than I had originally thought. When the creature awoke , I saw why everything I sensed , thought , saw and was told by the Holy Spirit said trouble . This thing stood up and it was big . It was so big that it started to grow and block out what was left of the setting sun in the horizon. It saw me and I knew I was doomed . I turned to run to my car but while I was running it caught me by the heel. And from that moment, I became a prisoner of a beast named BITTERNESS . Now being a prisoner of this monstrous thing is something that is like no other . In the beginning it takes those things that hurt you, caused you pain and have scarred you and it plays those things over and over in your mind until it’s all you think about . You could be at work and not able to work because those mental events consumes your mind. Here are a few things to remember about bitterness that I’ve learned. Bitterness separates you from the grace of God. 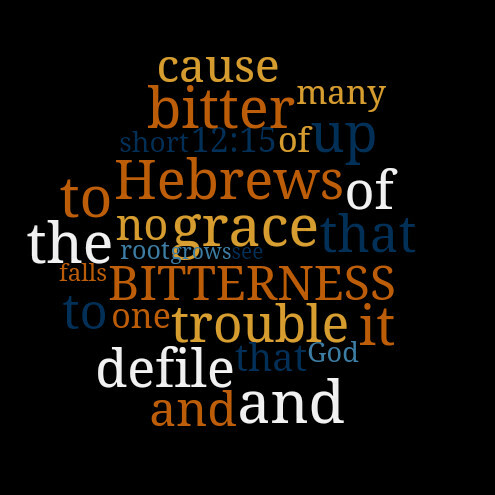 Hebrews 12:15 says “ See to it that no one falls short of the grace of God and that bitter root grows up to cause trouble and defile many”. When you are bitter you allow someone or something else to take the place of God and they continue to have control over your life. Bitterness will sabotage your goals . What was the last thing you accomplished? Enough said. Bitterness opens the door to other evil things . It’s demonic! So let this story serve as a lesson for you . Let it go. Give it to God and continue to live your life .He has so much more than bitterness waiting for you. And believe me , it’s better than what you can imagine. We want to thank our troops for their great sacrifice in defending our freedoms. Many have pledged their lives to ensure that our freedoms are not infringed upon. John 15:13 states “Greater love hath no man than this, that a man lay down his life for his friends” (KJV). 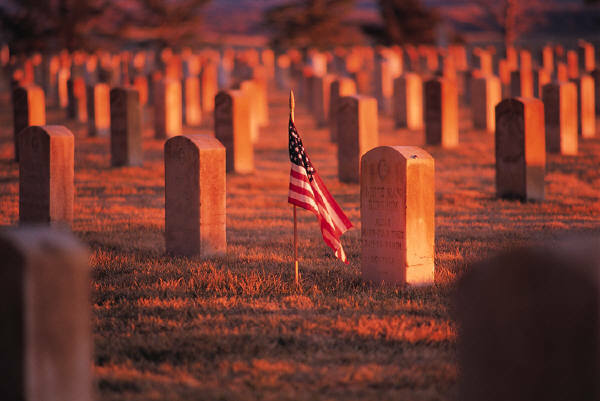 So often we look to Memorial Day as an opportunity to have a three day weekend, but Memorial Day is set aside to remember those who have served and fallen to defend our rights. Let us remember this day those friends and family that have laid down their lives for ours. There is a thunderstorm occurring outside. I want to leave my home but I realize that I cannot leave but will have to wait until the storm is over. What do you do when you find yourself in a storm waiting for it to end? What can you do when you have been hurt so badly that all you can think about is how bad you hurt? You just want the storm to be over so that you can move on. I have been there…in fact I am there right now! I want to point you to James, brother of Jesus. He says something that I never quite understood until recently. In the first chapter of the book of James, he opens by saying, ” Consider it pure joy, my brothers and sisters, whenever you face trials of many kinds, because you know that the testing of your faith produces perseverance. Let perseverance finish its work so that you may be mature and complete, not lacking anything.”(TNIV) Rejoice? How could he say to rejoice when you need money but you don’t know where it is coming from? Rejoice? Really?! When I just lost my job and I need to feed my family. Rejoice? When I have lost all hope that things will get better and my desire to live. 1. God controls everything, even Satan. 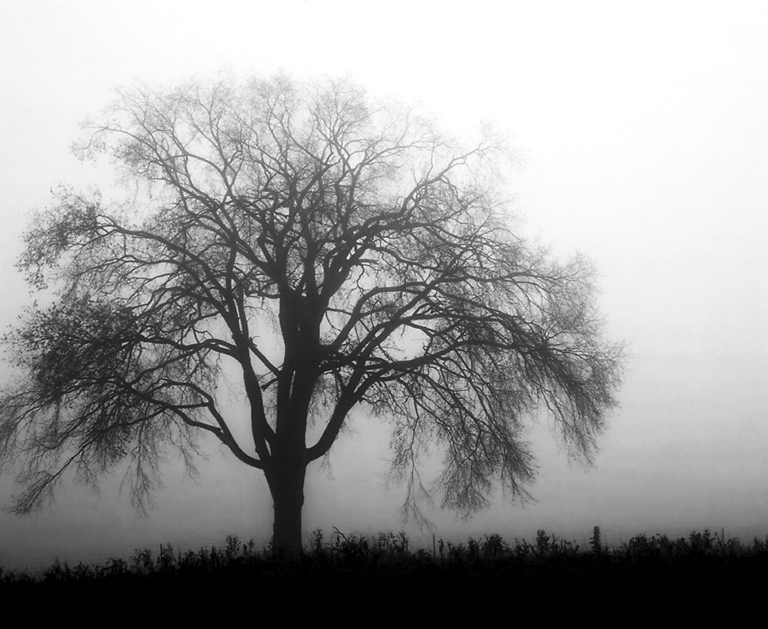 Do you remember the beginning of the book of Job? Satan had to be granted access to Job. Even in that, God our Father placed limits on what he could and couldn’t do. For us, this means that God knows all about what’s going on in our life. He has control over it .Satan can’t do anything to you that was not passed by God first. So what does this say about God? Does this mean He is unsympathetic, that He gets a kick out of watching us suffer? Of Course not! God does not like to see us suffer. We often look at this fact and say ” How can a God so good allow these things to happen . My favorite verse ever is Romans 8:28 which says ,” And we know that all things work together for good to them that love God , to them who are called according to his purpose.”(KJV). God is piecing all those things together to work for your good. 1 Peter 2: 9-10 says “But you are not like that, for you are a chosen people. You are royal priests, a holy nation, and God’s very own possession. As a result , you can show others the goodness of God , For he called you out of the darkness into his wonderful light . Once you had no identity as a people; now you are God’s people. Once you received no mercy; now you have received God’s mercy”. Peter gives us something to think about in this scripture. If you don’t know who you are it is easy for Satan to plant thoughts on who you are. There are many people who shape their identity on what others have said about them ,what happened to them , or even what television says they have to be . In these cases , we find that we have a lot of people confused and trying everything to find themselves. This is why it is very important to know who you are in Christ. When you are going through a tough time , Satan will always challenge who you are in Christ . Thoughts like ” This always happens to me.”, ” It’s not fair God.” , or ” I’m not able to make it through this !” are examples of Satan attempting to challenge your identity. He wants you to doubt that you are more than a conqueror in Christ. He doesn’t want you remember you are a royal priest , a holy nation, or a chosen person of God . When you began to doubt these things then you have allowed Satan to gain access to tell you who you are. It is important to meditate on who you are in Christ . I’ve been challenged in this area recently and the best advice I can give is find scripture in the bible that attest to who God says you are in Christ and stand on it . Like parents, God wants to see his children grow. Some growth comes through just getting older and others come through trials. Some trials come as a season of testing others may come as a result of our disobedience. However trials come just know it all comes together to grow you . It’s to make sure you don’t stay at a particular place in life in a specific condition. Some people have lost their lives staying in one place refusing to move. They became complacent and adapted to thinking that it will always be that way. One thing about God is that He is always on the move . He says that He is doing a new thing . Doing a new thing does not mean staying in one place or being complacent. God wants to see you move on to bigger and better things. Because we can’t see the future and we are sometimes scared of the unknown, God has to sometimes push us through some painful, hurtful things to get us moving. Let God HELP YOU through your storm! I want to say to all the mothers Happy Mother’s day! May God bless you on this day. 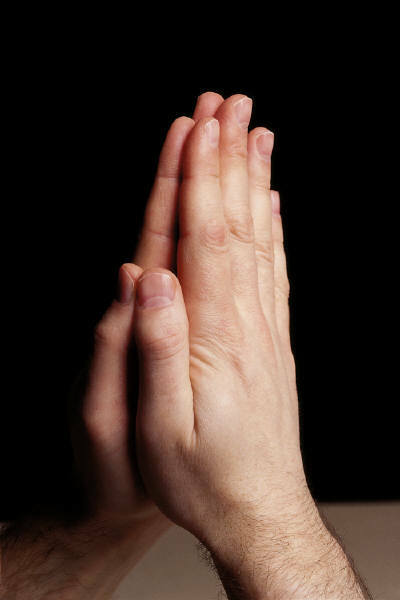 Today is National Prayer Day. It’s the day that everyone is to stop and pray to their God for the state of the nation. We know and believe that our God is the one true God and can do exceedingly above what we can ask. Let’s take this time to lift up in prayer our government, our families, our schools and communities. If you are new to prayer, you can check out the doc “What is prayer” under the Life Foundations page to get you well on your way to communicating with God.